Savvy Spending: Kohl's: Carter's 2 Piece Nightgown and Doll PJ set for as low as $9.21! 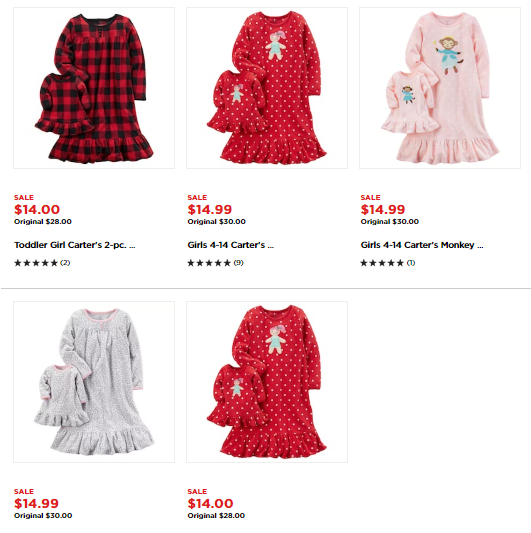 Kohl's: Carter's 2 Piece Nightgown and Doll PJ set for as low as $9.21! If you have a girl to shop for who loves dolls, check out this deal at Kohl's! Use promo code SHIP4FREE to get free shipping or choose in store pickup. Final Cost as low as $9.21- $9.87 shipped! There are a few styles to choose from! Remember, you can still earn Kohl's Cash for every $50 spent through 11/16!